Coming up soon! 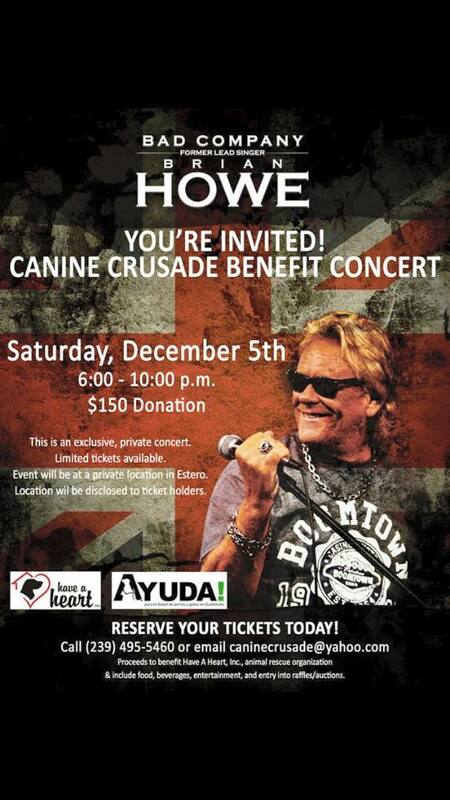 5 December, in a private setting on a lake in Estero, Florida this intimate concert is sure to be a great time! Ticket prices include entrance, food and drinks, a chance in the raffle along with a night filled with music and fun. Raffle items are still being donated. So far, you’ll have a shot at winning a Diamond Boxx Sound System, $2500 jewelry gift certificate, signed guitars from Little River Band, signed R&R memorabilia, and many other sensational items! Don’t Miss Out on this intimate, limited space event! Previous postJoin Us For A Rooftop Sunset Party! Next postThe 2015 Results are In!